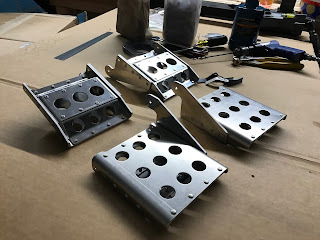 After looking at the brake pedals in multiple built RV's I decided to leave my pedals bar metal rather than painting them. Obviously the pedals get lots of wear and from what I've seen, paint just wears off of them leaving bare metal in the end with an ugly used look. The planes that I saw that had left the pedals unpainted looked much better after use. 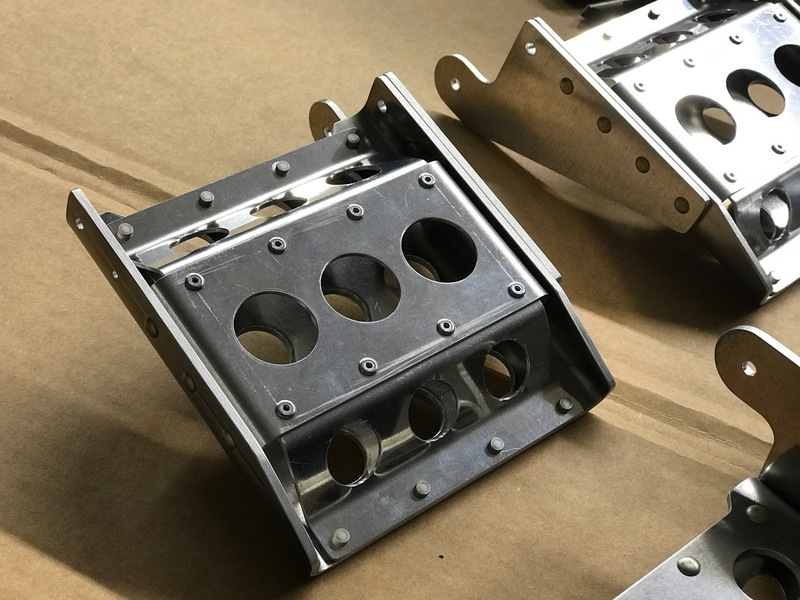 Most of the rivets in the pedals are reachable by the squeezer, however, the backs are pull riveted.